This is a real American classic, the LaGana Vietnam Tactical Tomahawk by American Tomahawk Company. Peter LaGana created this tried and true design in 1966 for the US Military in the Vietnam War. Revived again in 2001 by Andy Prisco and LaGana, this tomahawk design has proved reliable and functional time and time again. Though the materials have changed over the years, the long-established design featuring a slim handle and a unique axe head with a reverse pick has remained. This tomahawk is still used by the US Army today, which I think speaks volumes about its superiority. To begin, let me just say that this axe is nearly indestructible. The head is drop forged from ultra tough carbon steel and the ST nylon handle is hydraulically pressed into the head, making it nearly impossible to destroy. As far as the practical design goes, the blade has a slim, narrow design that features multiple hardened cutting edges, including a 3-edge poll and sharpened backside. The handle is, as I mentioned above, made of highly durable modified nylon and boasts finger grooves and treads to ensure a secure grip. To be honest, the only real downfalls I can find on this tomahawk are that the handle gets slippery and hard to grasp when wet, and I find it to be a little short in length. Besides that, the blade is tough, resilient, and exceptionally sharp. 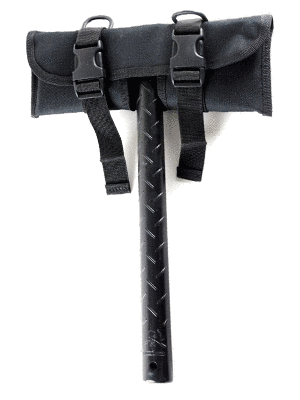 The VTAC’s smaller, lighter nature allows for easy carry and wielding, so soldiers find them incredibly practical and easy to transport on their person. It’s unique reverse pick design allows you to use it as more than just a hatchet, and will come in handy in almost any situation, emergency or leisure. Anytime you talk about a tactical tomahawk, you have to mention the VTAC. It’s a timeless American classic! The only changes that have been made to this nearly flawless axe have been improvements. 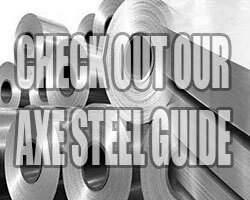 It’s sleek, refined, tough, pliant, and precise. Granted, it could see a few more improvements, such as a slightly longer handle, more rugged handle that gives the user better reach as well as a steadier grip wet or dry. However, as far as tactical weaponry goes, this tomahawk is certainly in the top 10. With its drop forged 1060 hardened steel head, you can be certain you will do damage to anything your blade bites into, without worrying about it suffering abuse or being destroyed. The oval shape of the handle gives you a comfortable hold, and it is small enough to be secured into almost any belt. 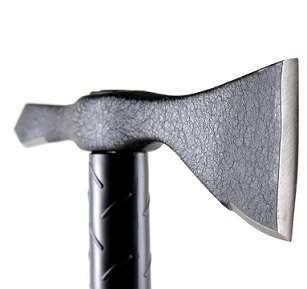 When you purchase an American Tomahawk LaGana Vietnam Tactical Tomahawk you are getting more than just a weapon, you are getting a multi-use practical tool that is simplistic yet effective. Not to mention, you get to brag about owning one of the most reliable American classics.